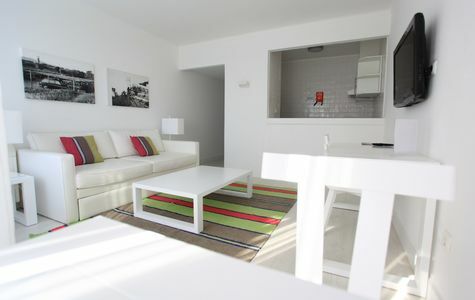 Prainha Clube **** is a unique place, designed specially to provide who visit us a perfect holiday. Being integrated in the Prainha grounds, it also offers the possibility to enjoy the many services and facilities of this complex. With 61 apartments, ranging from studios and 1 or 2 bedroom apartments in a building of 5 floors with 2 lifts, all apartments are facing south, with pool or sea view. Aguadream Mediterranean Baths (former Thalgo Center) is now at your disposal with a new concept. For more information, please click here. To enjoy your vacation to the fullest, Prainha also offers 3 tennis courts (extra charge), 2 playgrounds, 5 outdoor pools (3 for adults and 2 for children) 4 restaurants (Prainha Clube Restaurant, Caniço Restaurant, Pizzeria Miss Pasta , Snack bar Atlantic Pool) Supermarket, laundry (extra charge), free parking and 24 hour reception. The access to the beach is done by lift, directly through the resort or by stairs. 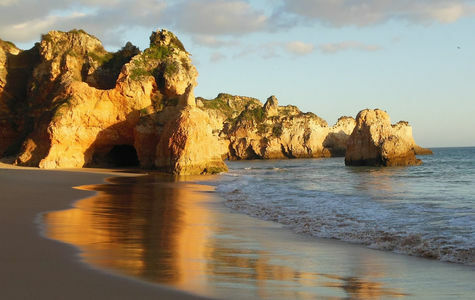 The surrounding area is quiet but close to the best golf courses in the region and only 2 km from the small fishing village of Alvor and Praia da Rocha, two different locations but famous for its restaurants, crafts, entertainment and, of course, natural beauty. Prainha Clube is registered under the Portuguese Tourism Board with number 839 (Registo Nacional Turismo).